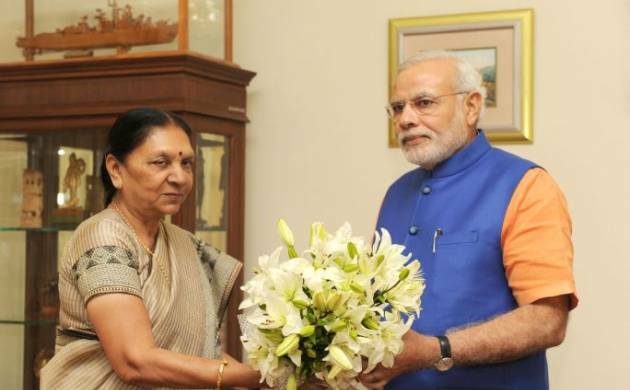 Gujarat Chief Minister Anandiben Patel today heaped praise on Prime Minister Narendra Modi saying he is a very popular leader who gets overwhelming response from people and industries for the campaigns initiated by his government. Gujarat Chief Minister Anandiben Patel today heaped praise on Prime Minister Narendra Modi saying he is a very popular leader who gets overwhelming response from people and industries for the campaigns initiated by his government. “Modi is a very popular leader and he gets overwhelming response from people, industries etc for his ‘Clean India’ campaign, (river) Ganga purification project and for making country open defection free,” Patel said after launching Centre’s ‘Ujala’ scheme here. “No other leader or PM since independence in the country ever thought of launching such campaigns,” she added. According to the Chief Minister, Modi is one popular leader after Mahatma Gandhi, Sardar Vallabhbhai Patel and former PM Lal Bahadur Shastri, who commands such respect and love from people. “6 crore Gujaratis from the state are proud after Modi became the PM and he was taking steps for people’s welfare especially of the poor and downtrodden,” she added. At Modi’s call, the cleanliness campaign is launched across the country and industries are taking it up under CSR projects, she claimed. His campaign to make country open defecation free has been receiving tremendous response and toilets are being constructed, Patel added. Meanwhile, taking a dig at Congress, Patel claimed their party leaders have started organising ‘Lok Darbar’ on the lines of her ‘Lok Setu’ programme and said such things will not work. Meanwhile, the Chief Minister said the ongoing task of installation of gates over Sardar Sarovar dam across Narmada river will be completed in 8 months ahead of the schedule.